If you live in suburbia and have a long commute to work, wouldn’t it be nice to have your own plane? But, oh yeah, you need a runway and your kids and the neighbor’s kids are always leaving things in the yards and in the streets. What you really need is maybe a helicopter, but they’re harder to fly and so noisy the neighbors won’t be happy (not to mention the FAA and your town zoning board). 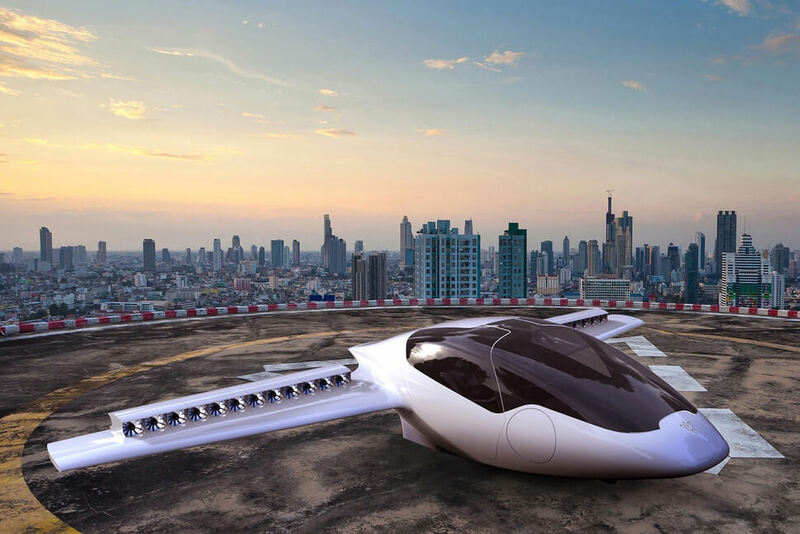 Well, get ready to toss your aviator scarf around your neck because startup company Lilium Aviation expects to start selling the Lilium all-electric VTOL (vertical take-off and landing) personal jet aircraft in 2018, according to International Business Times. So start saving. No price has been announced yet, but it will be a lot, so just start saving. Previously, VTOL aircraft were only for the military. In an effort to bring the technology to the masses, or at least the affluent, engineers and students from the Technical University of Munich founded Lilium Aviation, which is backed by the European Space Agency (ESA). The goal is to design and produce planes that are quiet, environmentally clean, and relatively easy to fly. Oh, and they can go straight up and down as well as forward. The two-seat Lilium will have a top speed just under 250 mph and a range at cruising speed of about 310 miles. The all-electric plan will have a 320kW battery to power the fan engines, retractable landing gear, fly-by-wire joystick controls, wings doors, and windows all around. You won’t have to worry too much about landing and taking off, the two most troublesome parts of flying, because an onboard computer will handle both. You’ll also have help staying on course with GPS-assisted navigation.The ESA’s plans are for the Lilium to fly only on good days, meaning daytime with good weather, and only up to 3km, about 1.8 miles, where the airspace isn’t very crowded. But not just anyone can fly one. You’ll need a valid pilot’s license and a minimum 20 hours training.There will be ample storage, Lilium Aviation promises, so if you’re taking your daughter or son to soccer practice (though only one at a time, please), you’ll have plenty of room to store their gear.